Although climate disruption and environmental degradation are scientific and technological issues, they are fundamentally moral issues. MORAL GROUND gathers the testimony of one hundred of the world’s moral leaders – theologians and religious leaders, scientists, poets, business leaders, activists, and philosophers. 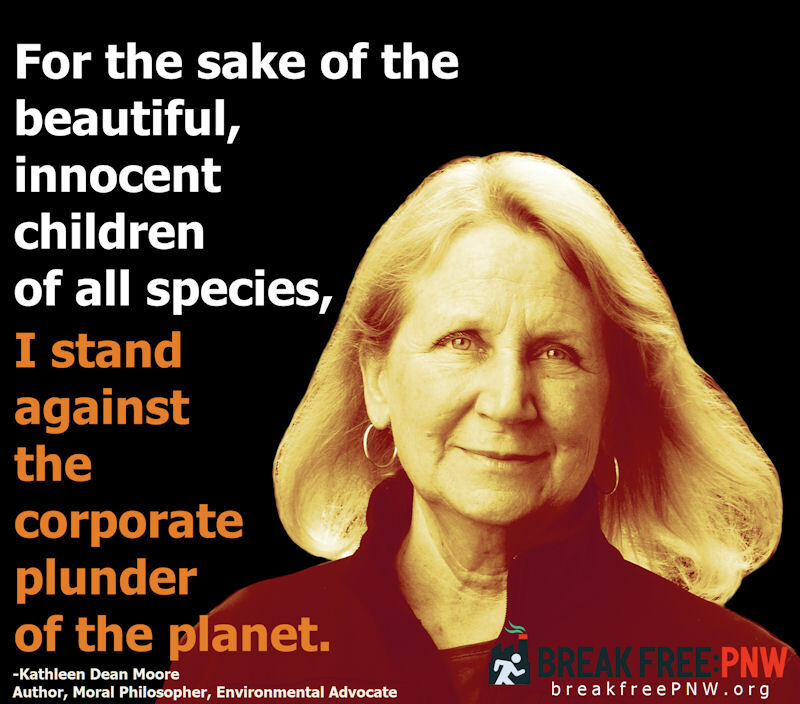 Together they present a compelling call to honor our individual and collective moral responsibilities to the planet. In the face of growing environmental emergencies, scientific knowledge alone does not tell us what we ought to do. Nor can political processes or economic incentives give us all the answers. The missing part of the debate is the need for ethical values, moral guidance, and principled reasons for doing the right thing for the future of the planet, its animals, its plants, and its people. MORAL GROUND provides readers of any worldview reasons – good reasons, powerful reasons – to respond, to take themselves seriously as moral agents, to reclaim the right to live the lives that embody their deepest values. As it happened, that was the spring when our granddaughter was born. I brought her to the pond so she could feel the comfort I had known there for so many years. Killdeer waddled in the mud by the shore, but even then, not so many as before. By then, the pond had sunk into its warm, weedy places, leaving an expanse of cracked earth. Ahead of the coming heat, butterflies fed in the mud between the cracks, unrolling their tongues to touch salty soil. I held my granddaughter in my arms and sang to her then, an old lullaby that made her soften like wax in a flame, molding her little body to my bones. Hush a bye, don’t you cry. Go to sleep you little baby. Birds and the butterflies, fly through the land. I held her close, weighing the chances of the birds and the butterflies. She fell asleep in my arms, unafraid. Poets warned us, writing of the heart-breaking beauty that will remain when there is no heart to break for it. But what if it is worse than that? What if it's the heart-broken children who remain in a world without beauty? How will they find solace in a world without wild music? How will they thrive without green hills edged with oaks? How will they forgive us for letting frog-song slip away? When my granddaughter looks back at me, I will be on my knees, begging her to say I did all I could. I didn't do all I could have done. Ring the angelus for the salmon and the swallows. Ring the bells for frogs floating in bent reeds. Ring the bells for all of us who did not save the songs. Holy Mary mother of god, ring the bells for every sacred emptiness. Let them echo in the silence at the end of the day. Forgiveness is too much to ask. I would pray for only this: that our granddaughter would hear again the little lick of music, that grace note toward the end of a meadowlark’s song. Meadowlarks. There were meadowlarks. They sang like angels in the morning. It’s late autumn as we begin to write. Crows perch on the electric lines that connect the houses. A teenager swings his car into the driveway and opens the door, releasing a wave of music. The little girl who lives next door shuffles past wearing her mother’s high-heeled shoes. Her mother sits on her doorstep in the slanting light of late afternoon, watching her daughter. In the next block, a neighbor adjusts his ear protectors and yanks the cord on his leaf-blower. Students walk by, detouring into the street to avoid the roaring engine and the blast of leaves. There will be rain this evening and maybe snow by morning. The scene feels odd, almost fictional, the way life goes on. It seems almost as if we were watching a herd of brontosauri grazing on giant fern-trees, oblivious to the shadow of the asteroid that will strike the Earth and forever change the conditions under which they will live -- or die. A dinosaur lifts his head and hisses at another who is stripping a frond off the same tree. A mother bends her long neck to nudge the eggs nestled under her flank. But there is no reptilian oblivion among the neighbors and the people passing by. Scientists have done a heroic job of alerting citizens to the world-altering dangers of cascading extinctions and other environmental calamities, carbon dioxide overloading of the atmosphere and the resulting climate change, floods and famine. People know that we approach tipping points where climate change will trigger irreversible alteration in the conditions under which we will live -- or die. They know that by the terrible working out of a few wrong decisions, this generation, our own, will see the end of the Holocene Era, when Earth achieved its greatest richness and variety of life, and the beginning of a new epoch of unpredictable change and loss. They know that what is about to hit us is a human creation, and that immediate human action is all that can alter its direction, on the chance that calamity will hit the Earth only a glancing blow. The neighbor switches off the leaf blower and begins to stuff dead leaves into a black plastic bag. The mother walks down the sidewalk to put a little coat on her child. What will move people to act to save their beloved worlds? Clearly, information is not enough. What is missing is the moral imperative, the conviction that assuring our own comfort at terrible cost to the future is not worthy of us as moral beings. This book is a call to that moral affirmation. It is a call to people to honor their moral responsibility to the future to strive to avert the worst consequences of the environmental emergencies and leave a world as rich in life and possibility as the world we live in. We have three immediate goals: (1) With the testimony in this book, we aim to demonstrate a global ethical consensus among the moral and intellectual leaders of the world that climate action is a moral responsibility; just as scientists demonstrated with the 2002 report of the Union of Concerned Scientists, a global scientific consensus that the climate crisis is real, dangerous, and upon us. 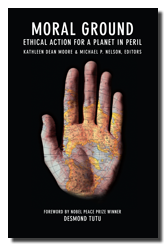 (2) With the essays in this book, we aim to empower readers with a wide variety of arguments demonstrating that we are called as moral beings to environmental action, so that no matter their religion, their worldview, or their position in life, readers will find reasons here -- good reasons, powerful reasons -- to respond. (3) Finally, we call people to take themselves seriously as moral agents, to reclaim the right to live the lives they believe in, to live as people of integrity -- conscientious, compassionate, joyous -- and so to take away the ability of the powerful to destroy the earth. Scientists continue to provide evidence that environmental degradation and consequent global climate change are profoundly dangerous to humans and to other life on Earth. Activists also are doing their jobs well, urging us to act in ways that will avert these harms to the extent that can be done. But to the surprise and frustration of both scientists and activists, we do not act, we do not create policy, and we casually opt out of efforts to avert future harms -- all the while we think of ourselves as good and sensible people. Here’s one answer: A piece is largely missing from the public discourse about climate change, namely an affirmation of our moral responsibilities in the world that the scientists describe. No amount of factual information will tell us what we ought to do. For that, we need moral convictions -- ideas about what it is to act rightly in the world, what it is to be good or just, and the determination to do what is right. Facts and moral convictions together can help us understand what we ought to do -- something neither alone can do. Western society is very good at facts. We aren’t as good at values. Our press is filled with scientific reports and predictions about the ecological systems our lives and other lives depend on. Moral discussion is notably sparse. We hope this book will invigorate the discussion of the values and moral aspirations that equally shape our lives, answers to the fundamental questions of the human condition -- What is a human being? What is a human’s relation to the Earth? How then ought we to live? This fusion of facts and values is exactly our goal: to articulate explicitly the missing normative premise of arguments that can compel us from terrifying facts to powerful obligations and effective actions. The factual premise If we do not act soon, anthropogenic environmental changes will bring serious harms to the future. The normative premise We have a moral obligation to avert harms to the future, so as to leave a world as rich in life and possibility as the world we inherited. The conclusion Therefore, we have a moral obligation to act, and act now. The facts are in. The normative premise is still under discussion. The stakes of this discussion are high. Once this argument is complete and the premises are agreed upon, one cannot withdraw from obligation and at the same time profess to be a moral person. How to call forth this discussion of the ethical? Our first step as editors was to invite people to join the ethical discussion that would take place in the book. Cultures around the world express moral wisdom in a multitude of ways – in stories, scientific reports, in poetry, in scripture and economic analysis, literary essays, philosophical argument, letters, edicts, music, and prayers. We wanted to honor all forms of moral discourse. Moreover, there is moral wisdom in people in many different positions of age, profession, geography, and worldview. We wanted to hear from them, lots of them -- one hundred of the world’s moral and intellectual leaders. So we began by calling on twelve people who are each at the epicenter of a global community we wanted to engage -- writers or theologians or activists or scientists, and so forth. We asked each of them to share the names of established and up-and-coming leaders in that community, the people with the deepest understanding, the wildest imaginations, the most wide-open hearts, the longest views. Then we asked those people to write for the book. Does the world have an obligation to the future to avert the worst effects of a lurching climate and impoverished environment? If yes, why? What explains our obligation? What argument can convince us of our responsibilities? Some of the people we invited were too busy, engaged in projects of their own; some were simply unreachable, especially those on distant continents. But most of these extraordinary, generous people agreed to write, setting aside their own projects, diverting energy from fighting their illnesses or political campaigns or their own climate actions. No writer accepted any payment; indeed none was offered. If there are proceeds from For All Time, they will go to climate action. From every continent save Antarctica they sent in beautiful, moving work, expressions of hope for the future and faith in what is best in us. Each of the writers is deeply and painfully aware that saving a fully thriving future will require not just good science and new technology, but the greatest exercise of the moral imagination that the world has ever seen. One moral message sounds loud and clear from almost every writer: as a world, we are undergoing a fundamental change in our understanding of who we are and what our place is in the world. We once might have thought that we were separate from the Earth -- in power and in control. We might have thought the Earth was created for our use alone and drew all its value from its usefulness to us, or that we had no obligations except to ourselves, as individuals or as a species. But ecological science and almost all the religions of the world renounce that worldview as simply false and deeply dangerous. Rather, humans are part of intricate, delicately balanced systems of living and dying that have created a richness of life greater than the world has ever seen. Because we are part of the Earth’s systems, we are utterly dependent on their thriving. The writers in this book tell us clearly that we cannot be concerned with humans and human futures without at the same time being directly concerned for all that supports those humans and human futures, because these things are not as distinct as we might have thought -- neither ecologically distinct nor ethically. There’s a merging of an ecological and spiritual awareness here that might account for the emergence of a new ethical awareness. This new ethical awareness includes and goes beyond our obligations to humans, toward the other inhabitants of the world, and to the world itself. We hear from these writers -- nearly all of them -- that, while humans and human interests certainly matter, they are not the only things that matter. A moral life will honor as well the interests -- and the beauty and mystery -- of all the Earth. 1. Moral arguments based on the consequences of acting or failing to act. Some of the reasons refer to the consequences of acting, or failing to act. Ethicists call this sort of argument “consequentialist,” because by the results of the act, we judge it to be right or wrong. An act is right if it increases or enhances what we value, wrong if it reduces or destroys what we think of as good. One primary good is human well-being. So, yes, we have an obligation to avert the worst effects of the environmental emergencies, for the survival of humankind, a fundamental value indeed (Section 1). And, yes, we have an obligation, for the good of the children to come, for what could we value more than our children’s happiness? (Section 2). Yes, we have an obligation to all the Earth; because we are all mutually interdependent, human thriving depends on the thriving of all life (Section 7). But it’s not only human well-being that we value -- our flourishing, and our children’s. We also value the great, good Earth and all its life. 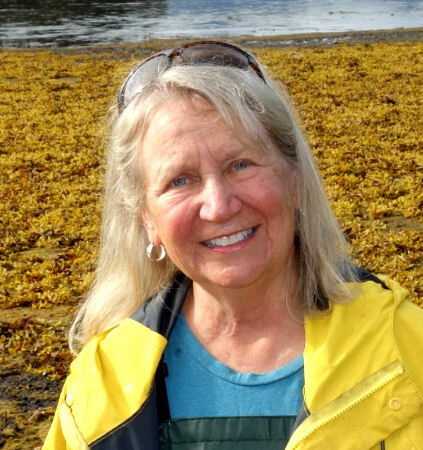 So yes, we must avert the worst effects of the environmental emergencies for the sake of the sparrows and the seagrass, for newborn whales and tons of krill, for fish like confetti on coral reefs, for lignonberries and the paw-prints of bears, for the sake of all living things and their thriving (Section 4). And it’s not just the individual species at risk, but the great systems, the dance of air, water, earth, and the fire of life. So yes, we have an obligation to act for the survival of the Earth as a self-regulating, living system (Section 3). Isn’t this what it means to live a moral life? -- to do what you can to create or protect what you believe is good and beautiful and of great worth. 2. Moral arguments based on doing what is right. In affirming a moral obligation to the future, other writers examine not the consequences of acting or failing to act, but the nature of the act itself. As we go about our lives, making moral decisions, are we fulfilling our obligations as moral beings? Ethicists call this sort of argument “deontological,” from the word deon, which means duty. Some of the writers argue that God calls us to the stewardship of divine creation, and that failure to protect the world He so lovingly created is a failure in our moral duty to God (Section 8). Others argue that we have duties of justice. We have duties to honor the rights of all species, present and future (Section 13). And we have duties to respect human rights, duties of intergenerational and international justice (Section 10). Alternatively, because the gifts of the Earth are freely given, some writers argue, we are called as recipients of great gifts of life and nourishment and beauty to honor duties of gratitude and reciprocity (Section 5). 3. Moral arguments based on virtue. So yes, some writers claim, the full expression of human virtue requires that we honor our obligations to the future (Section 6). Others claim that we must act from compassion, recognizing the suffering that environmental degradation imposes on others of all species, of all times (Section 9). Moreover, we must protect all of life because the Earth is beautiful, and what sort of thug would destroy what is beautiful or fail to grieve for its loss (Section 11)? We love the world, we are delighted and comforted by its wonders and rhythms; love calls us to acts of caring (Section 12). And if this is the way the world is -- beautiful, extraordinary, astonishing in its detail and in the wide expanse of its creation -- aren’t we called to honor and celebrate it in everything we do (Section 14)? In the final set of essays (Section 15), the moral arguments ask us to think about personal integrity, perhaps the keystone virtue. Integrity is a kind of wholeness, the consistency between belief and action. As we make decisions about how we live in an endangered world, do our actions match up with what we most deeply believe is right and good? Or do we act unthinkingly or allow ourselves to be pushed to live in ways we think are wrong? When all is said and done, will each of us be able to say that we lived a life we believed in, conscientiously refusing what is wrong and destructive, exhibiting in our life choices what is compassionate and just? As hope rapidly fails that we might be able to avert the coming ecological collapses, to live a life that embodies our values may be the strongest ethical stance, some writers argue. To do what is right, even if it does no good; to celebrate and to care, even if it breaks your heart. What we find, when we look at the writings in this book together, is that the discussion of our obligation to the future has transcended argument. This gathering of reasons has become a global celebration of the foresight, compassion, and humility that are part of the heritage of the human being. Perhaps this is reason enough to hope that we might summon the wisdom to save our lives and what makes our lives worth living. What the authors collectively argue is that no matter what moral theory one might turn to, one will find a strong affirmation of our obligation to future generations to preserve or restore a thriving, healthy world filled with beauty and possibility. Where is there room for escape from this obligation? What is the name of the virtue that would allow us to believe that we could care only about ourselves, act as if present or future beings had no pull on us, and then turn around and assert our goodness? Certainly there is no room for escape from our obligations in an appeal to the divine. What sort of deity would sanction disregard for the future and still command our praise? And really, tell us, how can it be prudent, or beneficial to any being alive or imagined, to discount the future? The world’s wisdom makes the same demand of us: we have a moral obligation to avert harms to the future. A dissenter might argue in response that the concept of obligations to the future makes no sense at all. The future does not exist. How can we have a responsibility to nothing at all? Or even if future beings can be imagined to exist, how can we know what their interests are, or what they might ask of us? How can there be obligations to abstractions? On the contrary, we would reply, people show strong loyalty to abstractions every time they act in ways that honor imagined ideals such as freedom, liberty, and prosperity. Loyalty to abstractions is the stuff of this world. Arguments about responsibility to the future do indeed require us to imagine a world that does not yet exist. They further require us to be morally moved by that imagined vision. Loyalty to what we can only imagine is what hope is made of. If any among us does not have the ability to imagine the pain or rejoicing of people other than themselves, then perhaps a first step in moral development is to practice that imagining. This is the work of moral education. The fulfillment of our responsibilities requires something extraordinary of us. We must develop the moral imagination that will allow us to see ourselves in the places of our progeny, to see the world through their wide eyes, to imagine their sorrow and their hopes -- not so different from our own. Indeed, we must develop empathy with wild creatures. We must nourish in ourselves the humility to escape an infantile egoism, even though this humility is often foreign to us, requiring an unfamiliar renunciation of the self, requiring us to understand that the universe was not created for our particular species and generation alone, and that we are not the measure of all its worth. We must find a way to enlist all the powers of the human mind and heart. These are not only our rational powers, but the additional gifts that define us as fully human -- our abilities to care, to grieve, to yearn, to celebrate, to fear, to analyze, to dream, to hope, to love, to have faith. Above all, we must learn to listen to the Earth that resounds with a wisdom we can hear if we try, wisdom born of the longest reaches of time and space, red leaves falling from oak trees, soft rain, children coming home at dusk. Our hope is that the writers in this book will inspire this change, that they will begin a new dialogue about who we are when we are at our best, and what we must do to be worthy of our gifts. Then we can imagine ourselves as not only clever, not only powerful, but deeply humane. Then we can imagine new ways to live on Earth respectfully, responsibly and joyously, for all time.